This page states the declaration of the Privacy and Cookies conditions under which you use https://thesoullaundry.com website. Use of The Soul Laundry website constitutes full agreement with the Privacy and Cookies conditions stated below. The Soul Laundry is the trading name of The Soul Laundry Limited. Registered in England & Wales. Reg no: 08459712. This online art gallery and retail shop is owned and run by Julian Sandell and governs the privacy of the website. I totally value my customers and visitors to The Soul Laundry therefore I aim to create a safe online and shopping experience when you’re using my website. I want to reassure you that I am committed to ensuring that your privacy is protected. Any information you provide, including email address, delivery address, phone or mobile numbers, and credit card details are strictly private and confidential. I acknowledge that The Soul Laundry complies to the DPA (Data Protection Act 1998), the PECR (Privacy and Electronic Communications Regulations), and already complies to the GDPR (General Data Protection Regulation) which comes into affect from May 2018. I will also update this policy accordingly after the completion of the UK’s exit from the European Union. I do not disclose your details to any third party, and will not without your express written consent. As a matter of good practice, I wont share any personal information with anyone and certainly will not sell it to others. For the purpose of making an enquiry or placing an order, thesoullaundry.com may collect your name, appropriate contact information including email address, postal address as well as preferences and interests. Other information relevant to customer surveys and/or offers may also be requested. The Soul Laundry collects this information in order to best understand your needs and provide you with more information on products and services as required. Your information may also be stored in a Customer Relationship Management system for internal record keeping. I may use the information to improve the products and services I offer on the website. I may periodically send promotional emails about new products, special offers or other information which I think you may find interesting using the email address which you have provided. I may contact you by email, phone or post. I may use the information to customise the website according to your interests. Whenever you are asked to fill in a form on the website, look out for a tick box to indicate that you do not want your information to be used by anybody for direct marketing purposes. Of course, if you have previously agreed to The Soul Laundry using your personal information for direct marketing purposes, you may change your mind at any time by emailing julian@thesoullaundry.com and I will personally manage your request. You may request details of personal information which we hold about you, or if you believe that information we are holding is incorrect or incomplete, then please email julian@thesoullaundry.com. I will be happy to update, correct any incorrect information, or provide you with details of personal information which I hold about you. The Soul Laundry is committed to ensuring that your information is secure. In order to prevent unauthorised access or disclosure, I have put in place suitable physical, electronic and managerial procedures to safeguard and secure the information I collect online. The Soul Laundry will take all reasonable technical and organisational precautions to prevent the loss, misuse or alteration of your personal information. I will never store your credit/debit card information on our website. All electronic transactions you make to or receive from me will be encrypted using SSL technology via [SSL Certificate Brand] and will be transferred and processed by WordPay or PayPal. To ensure the security of The Soul Laundry website, always check for the green padlock symbol at the beginning of the website’s URL. Of course, data transmission over the internet is inherently insecure, and I cannot guarantee the security of data sent over the internet. You are responsible for keeping your password and user details confidential. I will never ask you for your password. Important: I do not store customer credit card details. The Soul Laundry website contains links to other websites of interest. However once you have used these links to leave our site, The Soul Laundry has no control over the externally linked site. Therefore, I cannot be responsible for the protection and privacy of any information which you provide whilst visiting such sites. In addition, such sites are not governed by this privacy statement. The Soul Laundry always recommends that you exercise caution and read the privacy statement applicable to the website in question. A cookie is a small data file that is automatically placed onto your computer’s hard drive. Cookie files are created by my website and placed onto your device in order to analyse and influence your preferences or behavior. Analytical cookies are designed to track your journey and experience on my website – so that I may tailor your experience and gather data. Overall, cookies enable me to provide you with a better website, by helping me to monitor which pages you find useful and which you do not. A cookie in no way gives me access to your computer or any information about you, other than the data you choose to share with me. The Soul Laundry website will often encourage users to share content and/or like our social media posts across Facebook, Twitter, Instagram etc. In order to make ‘Social Sharing’ accessible, our website utilises widgets either provided directly from the Social Networks and/or via amalgamative widgets from third parties such as AddToAny. Cookies and privacy implications from the social networks vary and will be dependent on your nominated privacy settings with each Social Network. Social Sharing buttons will only deploy cookies if you are signed to that respective Social Network at the time of being on The Soul Laundry website. The Soul Laundry website has Google Analytics installed which allows me to track and compile anonymous visitor statistics. The information collected ranges from simple traffic volume to the type of browser you are viewing our website with. This information is valuable to me not just for marketing analysis and quantification, but to improve the usability, security and load speed of the gallery website. Google Analytics is a popular, secure, flagship webmaster product from Google. The privacy and security of Google Analytics data is a high priority at Google that you can read more about on Google’s Analytics Data Safeguarding page. Google also offer a Google Analytics Opt-out Browser Add-on that will allow you to automatically Opt-out of all websites that track your activity via Google Analytics. The Soul Laundry assures you that no personal information is collected by Google Analytics. Upon your first visit to The Soul Laundry website, you will notice a subtle banner on the page alerting you to the fact that cookies are being placed onto your computer by the site. In order for the website to remember your choice of opting-in, we store a cookie which expires after 30 days. The Soul Laundry website, either in full or in part, is built on the popular open-source CMS framework – WordPress. WordPress utilises cookies to allow visitors to register, login and comment on my website’s content. If you do not wish to participate in commenting on my website, WordPress will not deploy any cookies onto your device. Cookies will only be created by WordPress if you actively register or comment via the clear forms on my website. WooCommerce is a popular eCommerce extension for WordPress, which I use for The Soul Laundry website. WooCommerce uses three cookies in order to save your basket contents and session details. No personal information is stored in any of the three WooCommerce cookies. Cookies deployed by WooCommerce are essential for the process of using the cart and checkout functionality. Visitors can choose to contact me via form(s) on The Soul Laundry website. In order to prevent spam enquiries, I protect the forms with anti-spam challenges which ensure the visitor is an actual living person, rather than a nasty computer bot or spider. Most modern browsers allow you to control your cookie settings for all websites that you browse. 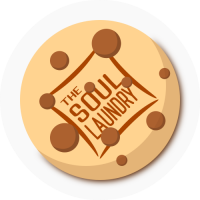 You can disable cookie deployment completely by editing your browser settings, however in doing this you may be limiting the functionality that is displayed on The Soul Laundry website. To learn how to disable cookies on your preferred browser we recommend reading the advice posted by Google.